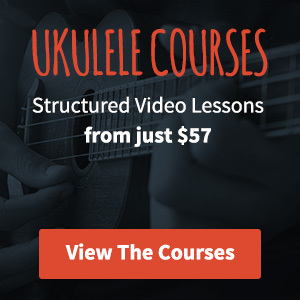 Learn Ukulele - Lessons, Tutorials & More - Ukulele Go Blog! It’s possible to play a musical instrument like a ukulele and have no music reading skills whatsoever, I did it for years as a guitar player. That said, when I committed to learning a little more about music, it opened my eyes (or should that be ears) to so much more. I recently bought a canjo which isn’t exactly a ukulele but I figured it might be of interest to the ukulele go readers. Getting to grips with the blues scale on ukulele is a great way to add a little improvisation to your routine. It’s nice to get a little free with your playing from time to time and just do what you like. Let’s take a look at the blues scale to get you started. If you’re looking to get a little faster with your ukulele skills then there are few better ways than to use a metronome. It may seem counterintuitive but slowing down is one of the best ways to speed up. C is probably the first chord that almost everyone learns on ukulele. It’s simple to play and it sets you up in the key of C which is one of the easiest keys to play in. Let’s take a look at the C chord in a little more detail. I’m really pleased to announce that I now have a courses section live on the website.